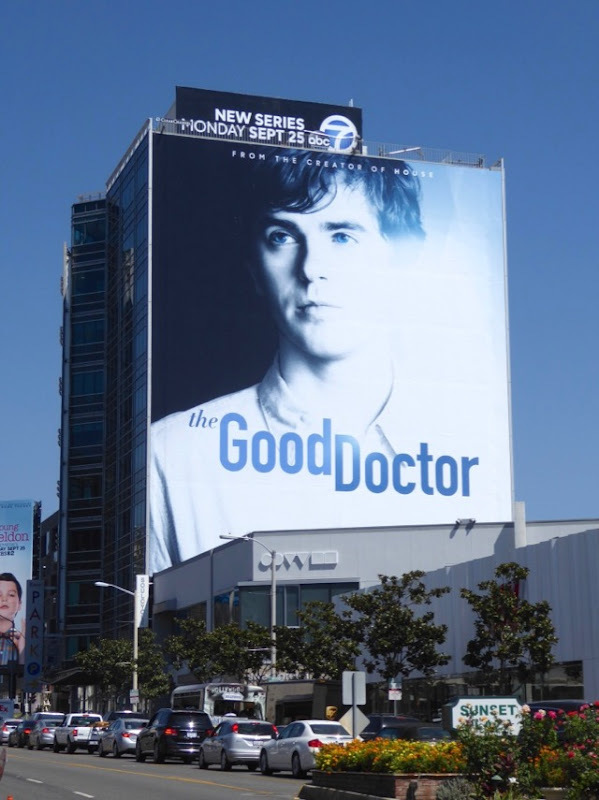 This fall TV season Freddie Highmore is giving up his evil ways from the Bates Motel and turning his hands from murder to healing in The Good Doctor. 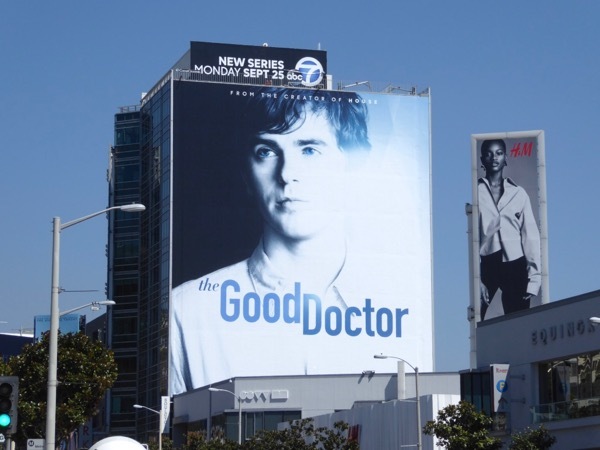 In the new ABC medical drama he plays 'Dr. 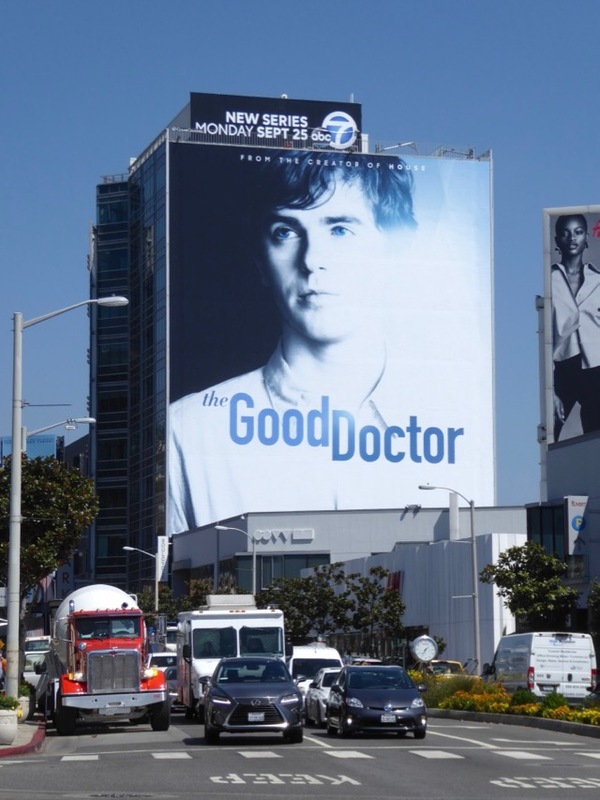 Shaun Murphy', a brilliant young pediatric surgeon who has savant syndrome and autism and joins the prestigious St. Bonaventure hospital in San Jose, California where not everyone is ready to give him a chance. 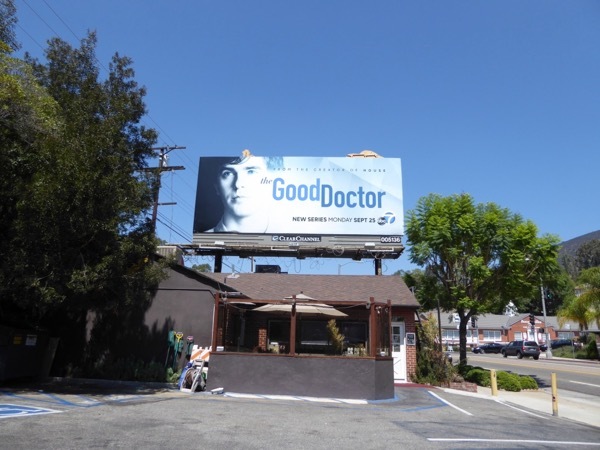 Will the doctor who doesn't really have the ability to relate to people actually be able to save their lives week after week? 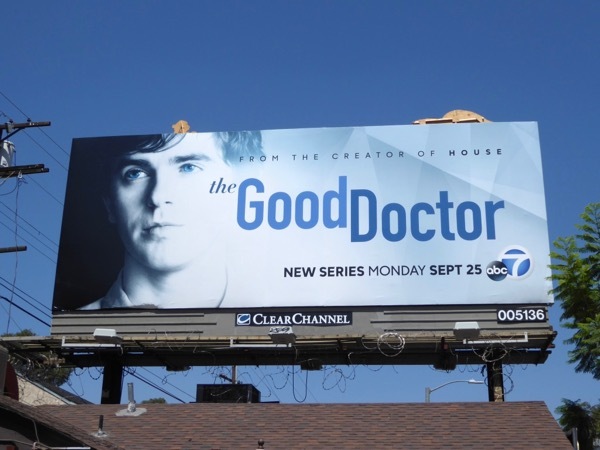 The new broadcast television season is in full swing and these series launch billboards were first photographed along Barham Boulevard on August 20, then snapped later above Olympic Boulevard and Pico Boulevard through September 9, 2017. 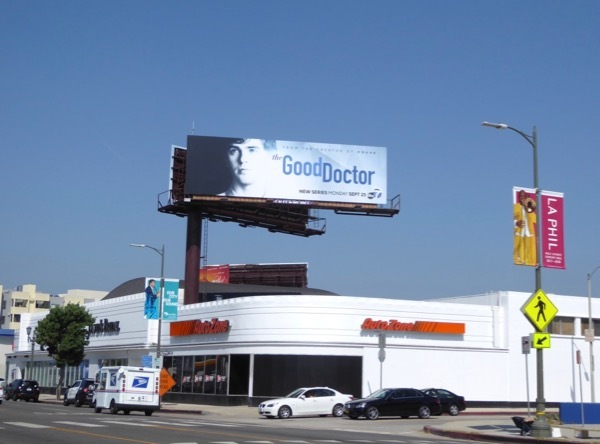 Meanwhile the giant-sized billboard was snapped towering over eastbound traffic along the Sunset Strip on September 13, 2017. 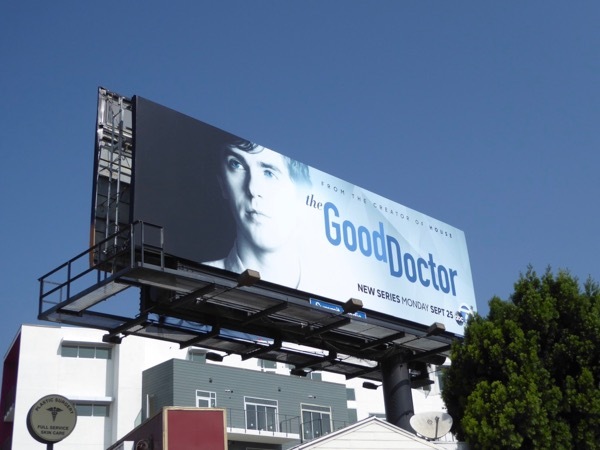 Freddie Highmore fans can also check out all these Bates Motel TV series billboards from recent years. 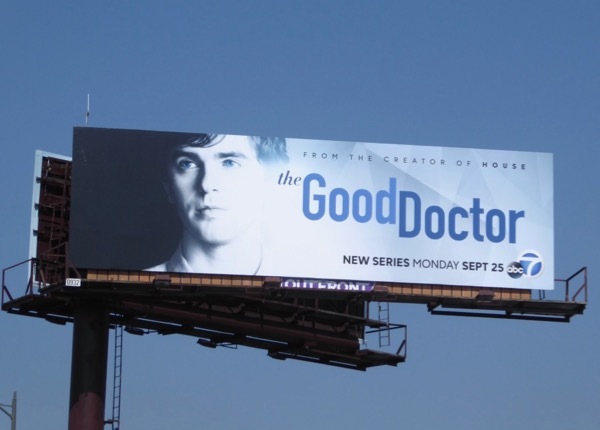 Plus for another television show offering another perspective of autism, be sure to take a look at these Atypical Netflix billboards and for more medical dramas you can enjoy these billboards for The Night Shift, these Chicago Med billboards and these Code Black billboards. 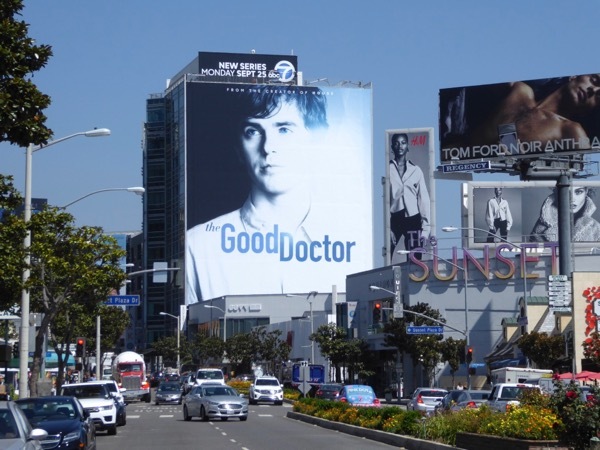 With ABC's Grey's Anatomy returning for an amazing fourteenth season this fall, can the network add another hit hospital drama with a twist to its repertoire this year? 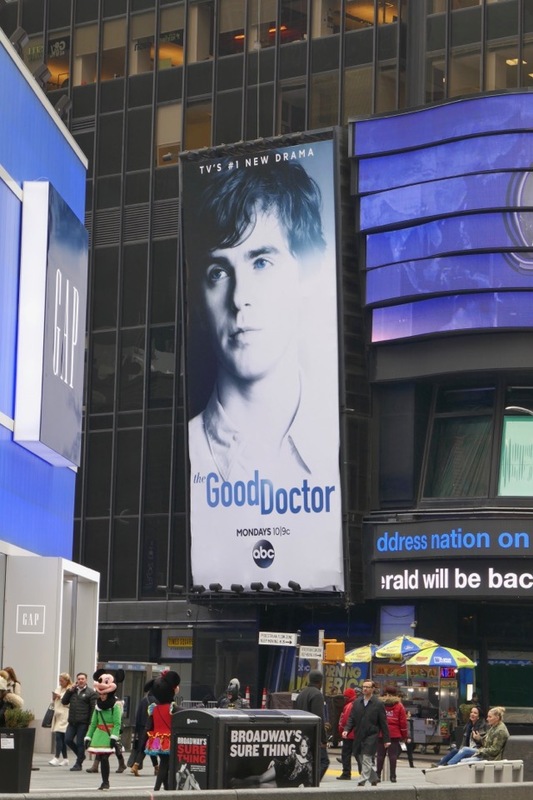 UPDATED: Here's also a billboard for the hit drama spotted in Times Square in Manhattan on February 15, 2018.